Another latest edition to the rumor mill of the Motorola Moto X smartphone but this time it includes some very interesting details. 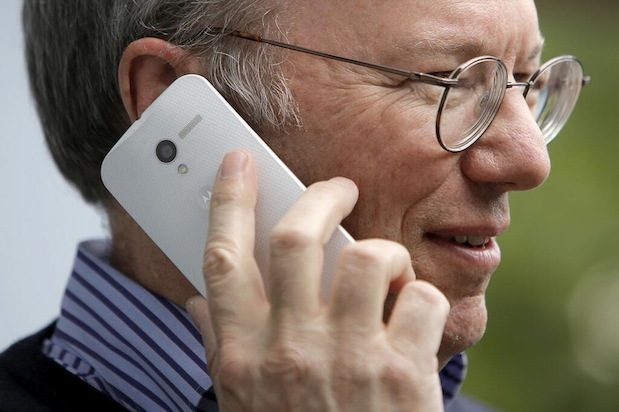 The device, said to be Moto X, has been seen in the hands of Eric Schmidt, who’s the Executive Chairman of Google. The shots were taken at the Allen & Co. annual conference held at Sun Valley where Mr. Eric was present to attend it. The shots are as clear and vivid as they can be which clearly suggests that Mr. Eric was not trying at all to hide the phone from the photographers or was hesitated to show it off. Instead, he was photographed many times which clearly suggests that he was in no mood to hurry. 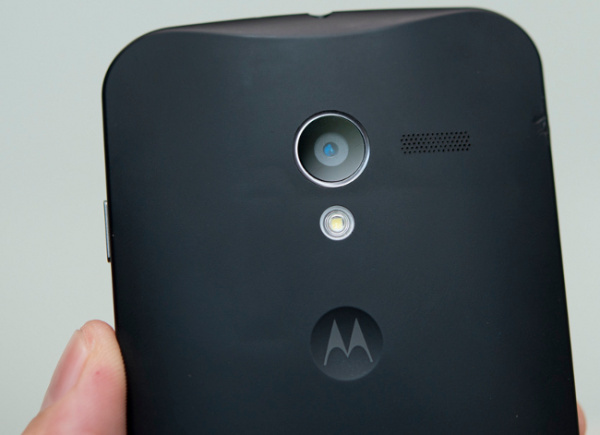 Judging by the pictures, Moto X seems to be a 100 percent true and a genuine phone. The next thing to note here is the exquisite design of the device that was seen in the pictures. The device design does not show any signs of influence from the Google Nexus devices or any of the previous Motorola devices we have seen so far. Still the Moto X presents sharp looks with sleek round design on the top, making space for the 3.5mm jack at the center while thinning as it goes to the sides. We have also received info that the device will assembled first in the US and will be available to the US first as well and after that, it will be shipped to other countries accordingly. If you ask us what is the expected release date for the Moto X, then it can be any date at the end of this summer.